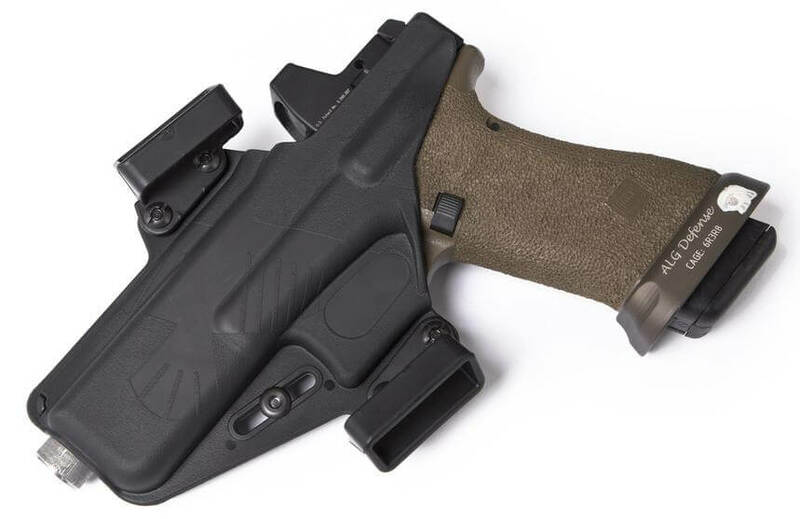 The Perun is RCS’s flagship outside-the-waistband (OWB) holster. It is the result of blending the best features of two of their most popular holsters, the Eidolon and the Phantom, to create a highly refined, exceptionally concealable holster. The Perun is designed to be the best modular OWB “pancake” style holster on the market. It has a body-hugging design that rides high for maximum concealment. The body of the holster is only slightly larger than the pistol contained in it. 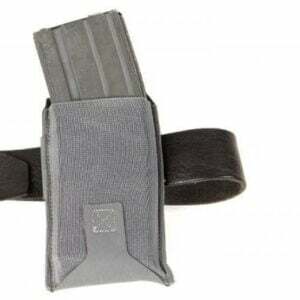 This small size aids in concealment while also making the holster more comfortable while seated in a vehicle.The body-hugging curvature of this holster is accomplished using modular belt loops. Each holster includes three pair of 1.5” belt loops (LH 10 degree cant, RH 10 degree cant, and ambi 0 degree cant), which allow the end-user to configure the ambidextrous holster body for left-handed or right-handed use, with either a 0-degree or 10-degree cant.Retention in the Perun is crisp, defined, and consistent, thanks to innovative design features inside the holster body. The unique retention slider makes adjusting retention as simple as turning up the volume on your stereo. 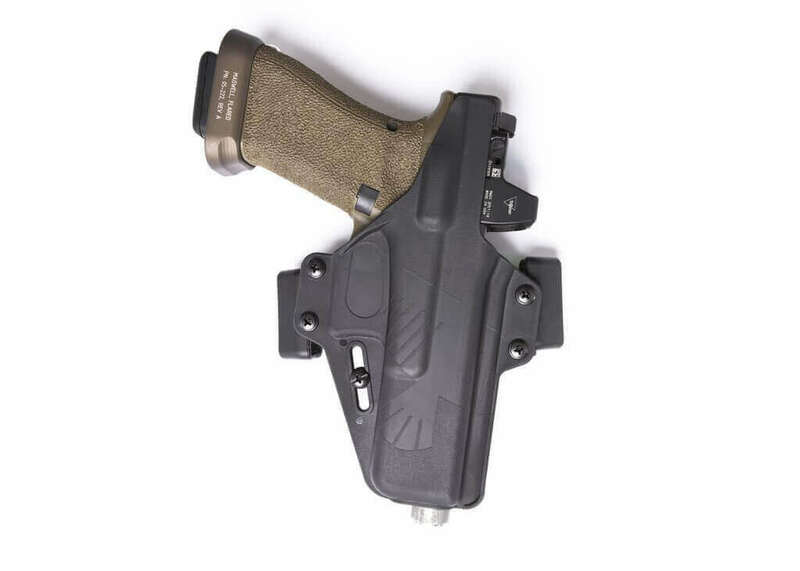 And unlike other holsters that use the traditional “screw through a rubber grommet” style of retention, the Perun’s retention will not back off after repeated drawing and re-holstering. The Perun is compatible with most slide-mounted red-dot optics (like the Aimpoint T-1, Trijicon RMR, etc.) and accommodates suppressor-height front sights up to .350” tall. It is also fully compatible with the RCS Balor optic mount. 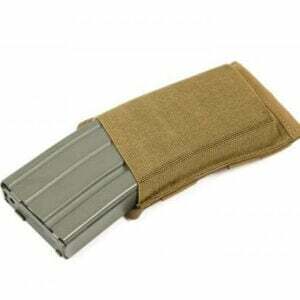 The Glock Perun is compatible with generation 3-5 Glock pistols. The Perun is compatible with all small frame 9mm, .40S&W, and .357sig Glocks. Example, The Glock 17 Perun will fit the corresponding standard full sized pistols such as the .40 G22 and .357 G31. The Glock 19 Perun will fit the corresponding compact sized pistols such as the .40 G23 and .357 G32The muzzle-end of the holster is rounded for comfort, yet has an opening sufficient to accommodate most common after-market extended and threaded barrels (with thread protectors). 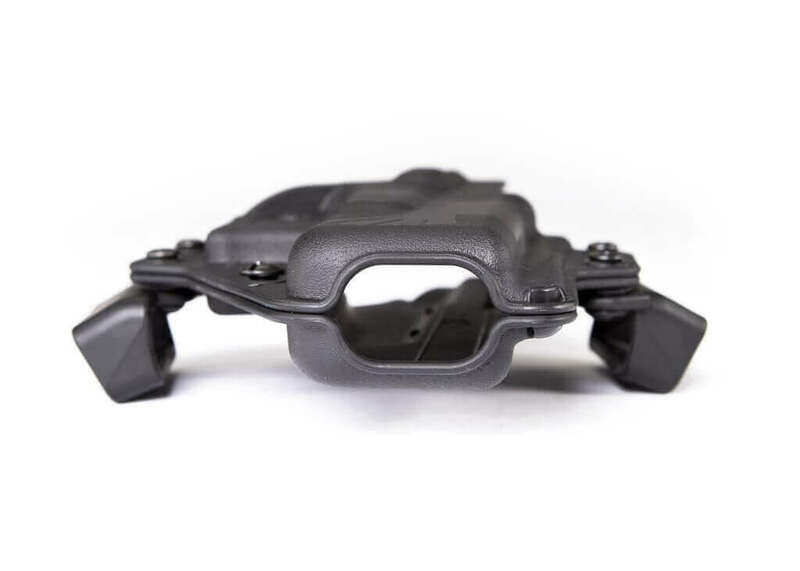 The opening at the muzzle is also specifically designed to allow foreign objects (like spent casings) to drop out the bottom so that nothing can block your pistol from being safely re-holstered.The ambidextrous holster body has both inboard and outboard full-height body shields. 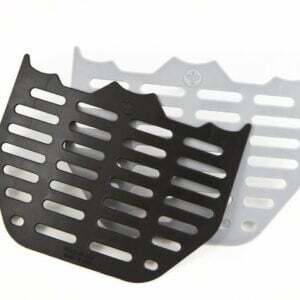 These body shields offer some protection for your pistol from sweat, as well as protecting your skin and cover garments (especially the thin material used for linings in sport coats and suit jackets) from being abraded by the serrations on the rear of the slide. 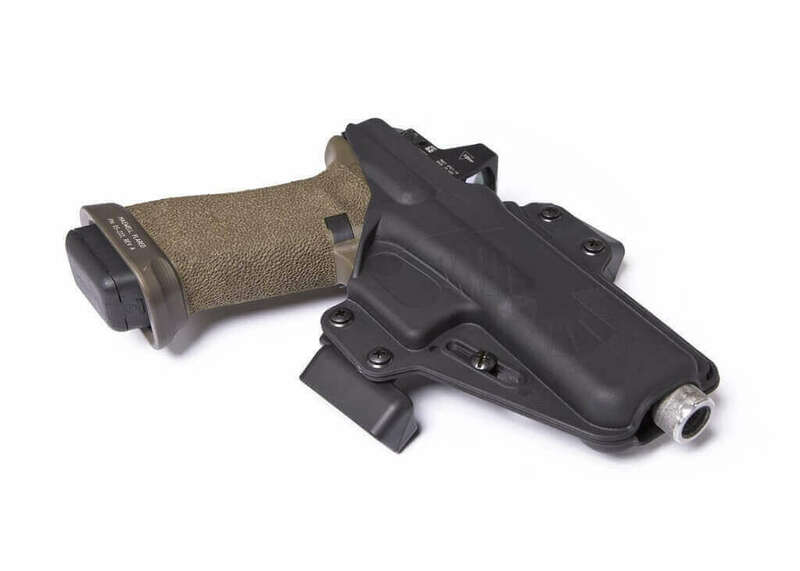 They also enhance safety by helping keep cover garments and other foreign objects from falling into the mouth of the holster while you have your pistol drawn, and aid in proper, safe muzzle orientation during re-holstering.The holster is injection molded from a proprietary, extremely high-strength polymer blend that is significantly more durable than Kydex or Boltaron. Like all RCS products, it is made in the USA, and is backed by our lifetime warranty. *Legacy belt attachments are NOT compatible with the Perun holster. DISCLAIMER: “GLOCK” is a federally registered trademark of GLOCK, Inc. and is one of many trademarks owned by GLOCK, Inc. or GLOCK Ges.mbH. Neither Raven Concealment Systems, nor this site are affiliated in any manner with, or otherwise endorsed by, GLOCK, Inc. or GLOCK Ges.mbH. The use of “GLOCK” on this page is merely to advertise the sale of GLOCK pistols, parts, or components. For genuine GLOCK, Inc. and GLOCK Ges.mbH products and parts visit www.glock.com.